Harvard University Press, 2014, 384 pages. Historians have not handled psychoanalysis very well. The clumsy reductionism of much of the psychohistory movement is usually Exhibit A, though historians such as Dominick LaCapra and Joan Scott have been developing more nuanced ways of using psychoanalytic ideas for History. But the historiography of psychoanalysis has also had some glaring weaknesses. One of them has been a tendency to focus too much on Freud and his early followers. In this, it mirrored the psychohistory movement, which often treated psychoanalytic and Freudian thought as identical. This identification was one Freud encouraged. He enforced orthodoxy, and in the process damaged his legacy more than he could have imagined. There have nevertheless been many creative developments in psychoanalysis since Freud, though for too long it was politically necessary to frame them as a return to Freud’s true meaning. The development of psychoanalysis since Freud’s death in 1939 is only beginning to get the attention it deserves from historians. 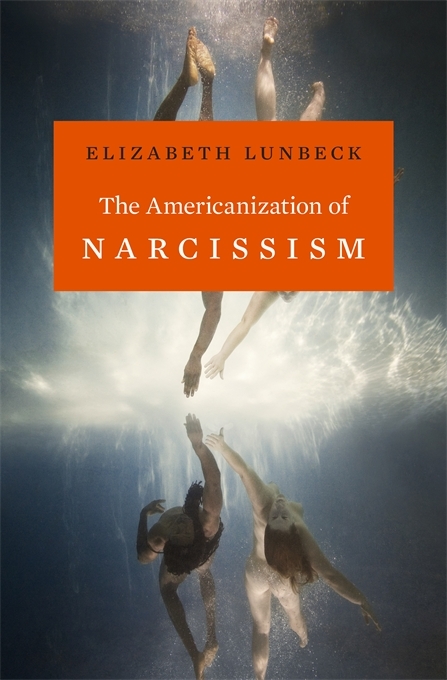 In The Americanization of Narcissism, Elizabeth Lunbeck gives us one of the best accounts, one that shows keen mastery of subtle theoretical distinctions, and is loaded with insightful readings of major figures. Lunbeck stresses the protean quality of the concept of narcissism. This quality may have undermined clarity on some discussions, but, Lunbeck argues, it has also been a source of creative reinvention. Much of the book is focused on the contrast between Heinz Kohut and Otto Kernberg, and the embellishment of these émigré analysts’ insights by American social critics. Where Kohut amplified a minority view within psychoanalysis that stressed the possibilities of a healthy narcissism, Kernberg was more focused on its darker side, the rage and manipulation of others that characterized pathological narcissism. Christopher Lasch’s Culture of Narcissism was among a number of works that sought to apply these theories to a wider critique of American society, though as Lunbeck shows, in most cases they missed Kohut’s concept of healthy narcissism, and took Kernberg’s focus on individual pathology to a generalized social theory he did not sanction. Lunbeck’s critical reading of Lasch is convincing. Lasch appears incompletely and very selectively educated on psychoanalytic theory. His acerbic critique of American consumer capitalism increasingly seems tied to a nostalgic political outlook that was more reactionary than radical, and one particularly threatened by feminism. Historians most deeply hostile to psychoanalysis have had to account for its popularity, even if that has waned. Among the social explanations offered, at least for the United States, has been that it offered a hopeful vision of personal transformation, even if it is one that departed from Freud’s own tragic stoicism. This poses a riddle: why did Lasch’s work become so popular, while espousing such a sour view of therapeutic optimism, when that optimism was running very high? Possibly, it was simply his distinctively caustic prose and Zeitgeist-catching title. Lunbeck eschews a chronological approach, and her efforts to tease out the many strands of theory on narcissism include compelling discussions of the earlier generations of analysts. Perhaps most fascinating is the exploration of the fraught triangular relationship among Freud, his most loyal of disciples Ernest Jones, and Joan Riviere, who was analysand of both men and lover to Jones. As Lunbeck points out, Riviere was a prescient figure—according to Lunbeck, narcissism’s “first phenomenologist”—and she remains under-studied. We lack a full-length biography of Riviere, who developed important concepts such as the negative therapeutic reaction, crucially influenced Judith Butler’s elaboration of gender as performance, and anticipated Kohut’s concept of a healthy narcissism. In her exposition of Kernberg, Lunbeck mentions Kernberg’s view that the few people narcissists value are extension of themselves, who would need to be discarded if they disappointed in that role. This actually seems an apt description of Freud’s relationship to many of his followers. Of his closest colleagues, the ones who were cast out of the movement—Carl Jung, Alfred Adler, Otto Rank, and to some extent Sandor Ferenczi—were the ones who had the most original ideas. It is not an exaggeration to say that Freud wanted followers to apply his theories to new materials, but not to develop new theories of their own. As Lunbeck’s careful and lucid readings of later analysts show, Freud’s own narcissistic drive to tether psychoanalysis to his own formulations was outstripped by the potentials others discovered in the complex field he founded. The historiography of psychoanalysis has been dominated by the classic historical trope of “rise and fall.” Like many historical metaphors, this one does capture aspects of the story, but has become so shopworn that it hides more than it illuminates. The Americanization of Narcissism offers a refreshingly different approach. By excavating the many facets of a key word in both clinical writing and social criticism, Lunbeck shows that the history of psychoanalysis is more complex, and of more lasting relevance than the “rise and fall” accounts have allowed. Jonathan Sadowsky is Theodore Castele Professor of Medical History at Case Western Reserve University. He is a historian of psychiatry whose main interests include colonial psychiatry in Africa, the history of convulsive treatments in the United States, and the history of psychoanalysis. His book on electroconvulsive therapy in America is forthcoming from Routledge. Sadowsky J. Elizabeth Lunbeck’s The Americanization of Narcissism. Somatosphere. 2015. Available at: http://somatosphere.net/2015/elizabeth-lunbecks-the-americanization-of-narcissism.html/. Accessed April 26, 2019. Sadowsky, Jonathan. 2015. Elizabeth Lunbeck’s The Americanization of Narcissism. Somatosphere. http://somatosphere.net/2015/elizabeth-lunbecks-the-americanization-of-narcissism.html/ (accessed April 26, 2019).